A one-night-only theatrical performance at the Old Capitol Museum will feature the work of some of the state’s literary icons. Scenes from William Faulkner, Eudora Welty, Tennessee Williams, and Richard Wright will be performed alongside works from contemporary Mississippi writers such as Natasha Trethewey and John Grisham in “Mississippi Talking: An Evening with New Stage Theatre.” The gala event will be held January 14 from 5:30 to 8 p.m. In addition to the performance the evening includes wine and hors d’oeuvres. Tickets are $40 each. Doors open at 5:30 p.m. and the performance will begin at 6 p.m. For more information or to purchase tickets, call 601- 576-6920. A branch of NASA that you've probably never heard of - the Aviation Safety Reporting System - catalogues near-miss air accidents from a branch in Moffett Field in Santa Clara County in California. The ASRS collects voluntarily submitted aviation safety incident/situation reports from pilots, controllers, and others. It's an anonymous, non-punitive reporting system, and highlights are collected in a monthly newsletter, Callback. Think twice if you're flying soon (like me), but if you still want to subscribe to the newsletter, you can do so here! (Past issues are available here.) The National Transportation Safety Board also catalogs accident reports here. is that naughty little dessert? for the chance to feed this one to her. but the girl was hitting on his cake. something-my husband, his cake, both at once. of this world. 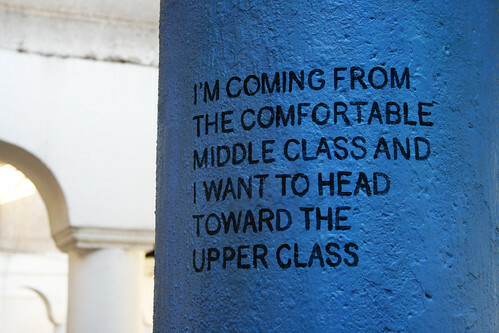 You would love to have the whole thing. the interesting things I found throughout the day. It's my own recipe, but, as always, I hope you find it tasty too! Eat your greens. They're good for you! The Northwest Rankin Middle School is doing something that makes me so excited: They are reading a book (A Long Walk to Water), trying to make a difference (raising $15,000 so a village in South Sudan can have a well), AND using social media to help (through a Twitter account and the #LeaveAPawPrint hashtag). THREE of my favorite things! If you're excited too and want to help, you can donate here. If you have more time than money, share their message on social media to help out! Speaking of teachers, I heard an interesting segment on NPR One this week on classroom discipline and how no one really teaches teachers about how to control a class. Before I taught writing in college during my assistantship for my master's degree, I witnessed a psychology PhD student lose control of an intro to statistics class he was teaching and I was taking. I learned more about what NOT to do as a teacher in that class then I did about statistics. And, sadly, he had good intentions. He was not a bad guy or a bad teacher. He just conceded control of his class and could NOT be a good teacher. October 25th was Make a Difference Day, but if you want to continue making a difference and you're a Mississippi hunter, you may want to find out more about Hunters Harvest (and use some of your bounty to feed the hungry). Mississippi’s strong record of producing football greatness shined on last weekend as Peyton Manning broke an NFL record that was held by Mississippian Brett Favre beforehand. Manning threw his 510th touchdown pass in last Sunday’s game against the San Francisco 49ers, leading the Broncos to a 42 to 17 victory. Favre’s number was 508. I like both LSU and Ole Miss (and Mississippi State even too!). But no matter who's playing, I'm definitely a fan of using the word "slobberknocker" much more in sports writing. Mark your calendar for a benefit for harp great, Greg "Fingers" Taylor. 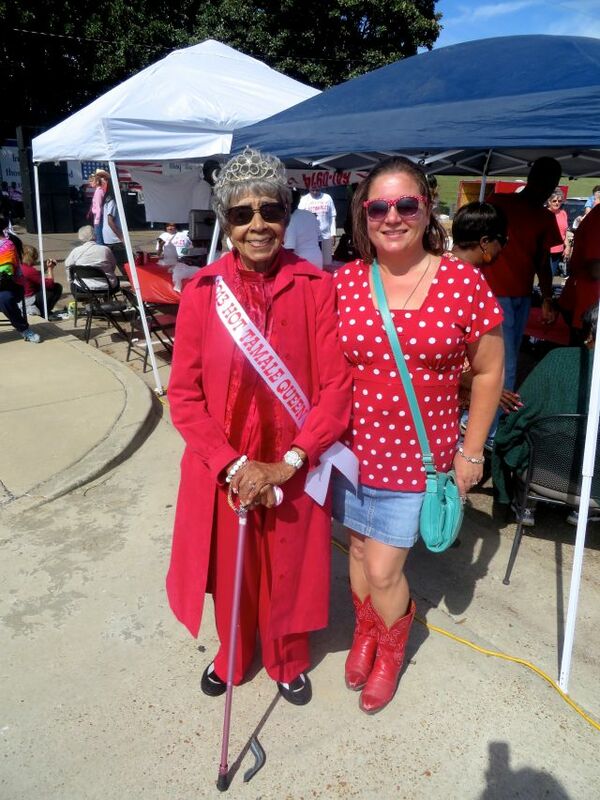 It will take place on November 8 in downtown Clarksdale from 11:00 a.m. to 11:00 p.m.. This harmonica festival will honor Taylor's music and will raise funds for his mounting medical bills. Bands scheduled to perform are Mitch Kashmar, Johnny Sansone, Watermelon Slim, Blind Mississippi Morris, Deak Harp & Lee Williams Juke Joint Duo, Billy Gibson, Terry "Harmonica" Bean, Bill Abel & Jon Popper, Carson Diersing, Kilborn Alley Band, Reverend Robert, and Heather Crosse. Hosted by Deak's Harmonica Emporium, the Pink Bar, and Delta Blues Museum, the event will take place at the Delta Blues Museum Stage located next to the Delta Blues Museum. Taylor played the harmonica in Jimmy Buffett's band and on Buffett's records for many years. Wristbands are $25 at the gate, and $20 in advance. No coolers or outside drinks allowed, food and beer will be sold on site at Pink Bar. There will also be a harmonica workshop on the preceding Friday at Deak's Harp Emporium. For more information and for tickets, visit www.mississippisaxophonefestival.com. If you would like to subscribe by email to this update, click here. Betty Lynn Cameron, Main Street Greenville Executive Director and Delta Hot Tamale Festival Coordinator, swears you can't say the words "hot tamale" without smiling. She convinced me of it this weekend. In 2012, Greenville held its inaugural hot tamale festival. In 2013, it was officially declared the Hot Tamale Capital of the World. 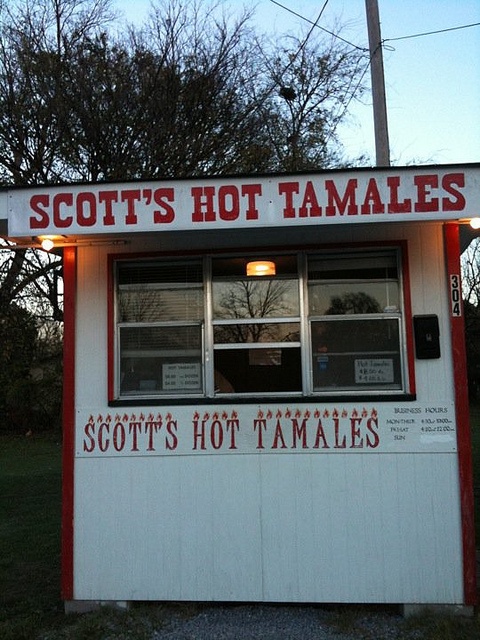 But my husband and I took a birthday trip in December of 2010 to try Scott's Hot Tamales - not knowing the infamy to come for our food trek. I had read an article in Southern Living about Scott's Hot Tamales and wanted a road trip for our birthday weekend, so we took off. In addition to hot tamales, we were in search of every thrift store, flea market and secondhand store we could find on the way. Once we got to Greenville and started hitting the thrift stores, folks would as where we were from and why we were visiting. I'd tell them the Scott's Hot Tamales story. And every time, someone would point me to some other tamale place that REALLY had the best hot tamales but that would never make Southern Living. Some regular stop-in stores and some along the lines of "Go to the house at the end of the street. Turn left and go down a dirt road. Knock on the door three times and ask for Ralph." Before this trip, I had no idea tamales were such a big deal in the Delta. 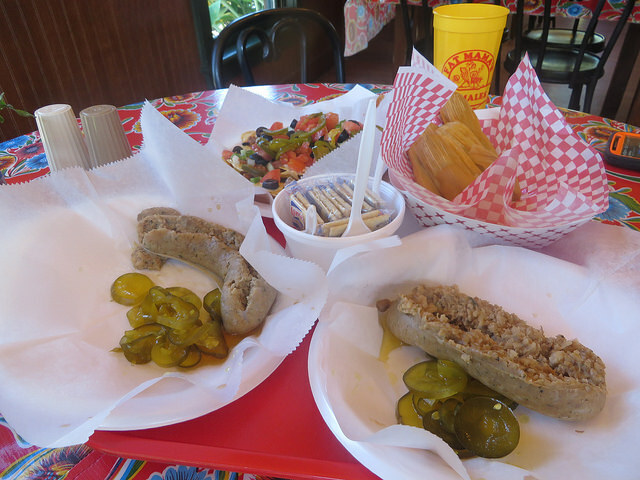 I had had my share of tamales with knock-you-naked margaritas on the patio at Fat Mama's (and did right before this trip too). I came back from the trip and immediately started googling hot tamales and the Delta. At the time, I found a Delta Hot Tamale Trail was in the works and learned a little about the history of the tamale in the Delta. The Southern Foodways Alliance says Greenville has more hot tamale restaurants and/or food stations than any other city in Mississippi! 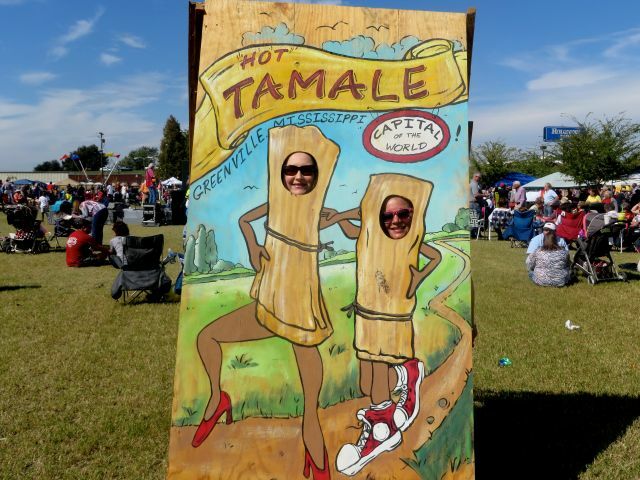 So, of course, I had to add visiting the Delta Hot Tamale Festival to my must-do list. 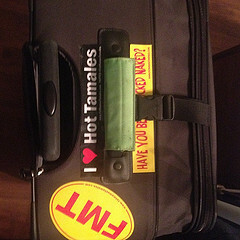 Because I heart hot tamales, the Mississippi Delta and Greenville! Regardless of where you get your tamales, remember they freeze very well. Buy extra and stash them away! I have added making my own hot tamales from scratch to my culinary to-do list this year. I'll have to report back on my experiments! Subscribe to my Poke Salad (Sometimes) Daily Updates and read past updates here. Mississippi State spends millions less on football than the average power-conference school—and yet the Bulldogs are now the new No. 1 team in college football. So says the Wall Street Journal. MSU spent $15.3 million on football in fiscal 2013, according to the most recent data available from the U.S. Department of Education. 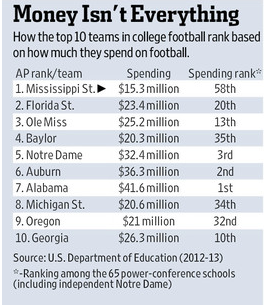 That makes Mississippi State thriftier than every SEC member. Alabama spent $41.5 million on football expenses. It allocates almost as much for coaches’ salaries ($11.8 million) as Mississippi State does for its entire football program. Speaking of money not being everything, be sure to support Empty Bowls on World Food Day this Thursday to help end hunger in Starkville. This weekend, Starkville will play host to The Preparathon and Garden Fest. Also, Natchez is putting on their famous Great Mississippi River Balloon Race this weekend and Greenville is getting ready for their Delta Hot Tamale Festival. Confession: I have not read the book yet. I cannot tolerate much baseball on TV and my favorite thing about watching a real game is nachos. With extra jalapenoes. Now football...that's a whole 'nother story! Poke salad is a bit like moonshine. Everyone has their own definition - and their own recipe. 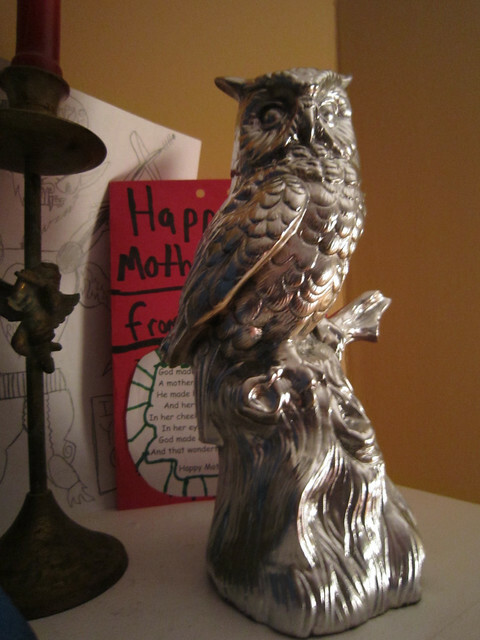 I will use this daily update to collect all of the interesting things I found throughout the day (for work and play). It's my own recipe, but, as always, I hope you find it tasty too! "There once was a man from Carolina / As a driver there's none that were finer / At 40 years old, you're brave and you're bold / But watch it Dale, there's a young guy behind you." As a child of the 80s, my pride was wounded a bit when I miserably failed on this Ultimate John Hughes Movie Quiz. I consoled myself with pasta. My husband made this Skinny Shrimp Alfredo Pasta Bake for supper. It was damn delicious, as the blog's name promised, but I'm not so sure about the "skinny." Perhaps "skinnier" would have been more honest. Jesmyn Ward, whose novel Salvage the Bones won the 2011 National Book Award for Fiction, is scheduled to read from her works at 4 p.m. Thursday in room 215 of the Gertrude C. Ford Academic Complex at Millsaps College. Ward, now a faculty member at Tulane University, has won five Hopwood Awards, been a Stegner Fellow at Stanford University and served as the Grisham Writer in Residence at the University of Mississippi. All three of her books — two novels (“Salvage the Bones” and “Where the Line Bleeds”) and a memoir (“Men We Reaped”) — are set on the Gulf Coast where she grew up. Shortly after Ward received her master of fine arts degree in creative writing from the University of Michigan in 2005, Hurricane Katrina slammed into the Gulf Coast, and Ward and her family were forced to evacuate. Later, as a professor at the University of New Orleans, Ward drove to and from work through neighborhoods leveled by the storm. Ward’s memoir confronts five years of her life in which she lost five young men to death. A finalist for the National Book Critics Circle Award for Autobiography, it has been named one of the Best Books of 2013 by Publishers Weekly, The New York Times, The Chicago Tribune, NPR, Kirkus Review, New York Magazine and Time Magazine. I'm excited to share that the Black Rose Theatre in Brandon is performing my one-act play, The Kindness of Strangers, July 12-15 during a night of one acts. The play is a kind of love letter to Streetcar Named Desire and New Orleans - two of my favorite things! My son was in Black Rose's production of You're a Good Man, Charlie Brown at the beginning of the year. I spent a lot of time in the theatre. Sitting. Waiting. Sitting and waiting. And pacing. At the end, I decided to use the time to write myself instead of just sitting there. I wrote the play in a week while sitting in the back row of the same theatre it will be performed. (Because I found out about the one-act play competion the week before.) It was a very rough draft. The play is attached below. I have to come up with a set that can be moved easily too. If anyone has any ideas of how to create a bar scene inexpensively that can be moved quickly and easily, let me know! Google Plus - I love it! It's like the early days of Twitter. Lots of great conversations and I've even met some cool new folks too! Spotify - My playlist addiction is in full force again...making them AND listening to others too. Sopapilla Cheesecake - This recipe tastes like King Cake. My son and I are already plotting our Mardi Gras version with green, yellow and purple sprinkles on top. But, regardless, it's perfect just the way it is already! Dark Chocolate Banana Babies - Yum! I just found these recently. I know I could make my own too, but I don't know if they'd be much better than these! My parents - This coming Saturday I'm taking my son for a weeklong visit with his grandparents. 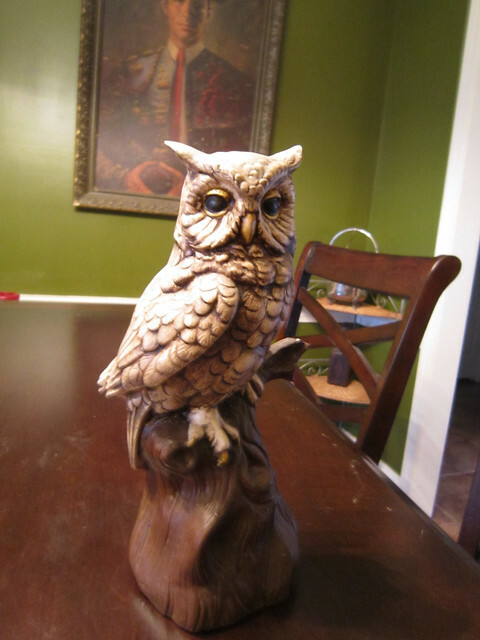 (I'm picking him up the next Saturday. It's a lot of driving.) But I'm so thankful he has grandparents who he wants to spend a week with and who are excited to be spending a week with him! This recipe was courtesy of Serious Eats. And I couldn't find mango chutney at the grocery store, so we used a mango salsa instead. I think the chutney would have clung better to the chicken, but it was still good. (It does have a bit of heat though!) Quinn threw some ears of corn on the grill too with the chicken and I made zucchini fries too! While the crust is baking, lightly saute the onion, mushrooms, and green pepper with a small amount of butter or margarine and garlic. (Do not over cook.) Drain and set aside. 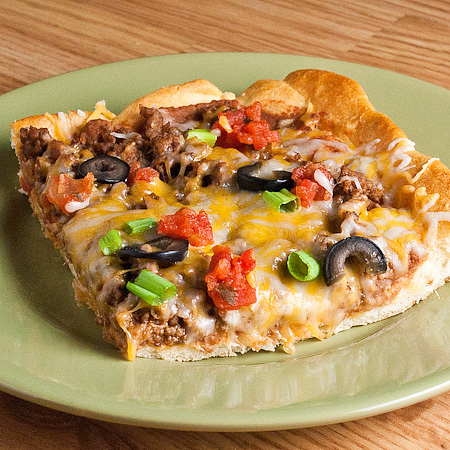 Drizzle Ranch dressing on top of crust and spread out with knife. Layer the provolone cheese on top. Spread the steak around and then the veggies on top. Put the mozzarella cheese on top of that and sprinkle with steak seasoning. Return to oven for 3-6 more minutes until cheese is melted. Serve immediately. Makes 12 main dish servings or 48 appetizers. Place the asparagus and tomatoes in a single layer on a baking sheet and sprinkle liberally with salt and pepper. Mix together the minced garlic, olive oil and balsamic vinegar and drizzle over the asparagus and tomatoes. Toss to coat completely. Roast for 25 minutes, until tender but still crisp. After removing sprinkle with the goat cheese. Serve immediately. I served it with Sesame Beef. Yum! We had this for dinner and dessert tonight. It was all delicious. And a fun Friday Family Fiesta Night. This recipe is courtesy of Real Mom Kitchen blog. The basic recipe could be easily changed up, and I've already been dreaming up Mediterranean Pizzas and Greek Pizzas. I think cream cheese would be a great base. But this Mexican rendition...I KNOW it works. It was delicious. Dessert was Sopapilla Cheesecake (another Real Mom recipe). And my son, who loves cheesecake in any and every form, says that this one is his favorite yet. Quentin says this tastes a lot like king cake - so at Mardi Gras we're gonna try it with green, yellow, and purple sprinkles instead of cinnamon sugar! I found both of these recipes on Pinterest. Want to see more recipes? Browse through my Yummo and Let Them Eat Cake pins (where these recipes wait permanently now). Quinn's father loves angel food cake - and I don't. Which is not really a problem except that I obviously tend to lean towards making sweets I love and I had never made an angel food cake. I did think the strawberry sauce I made up on my own was pretty good though. The container was about a pint but seemed a bit larger. I cut the strawberries up in small bites and then put them in a pan with 1/3 cup sugar over medium heat. After they got a little mushy I added a tsp of vanilla and a tbsp of butter and served it warm over the angel food cake. Happy (sort of) birthday, Lady Liberty! 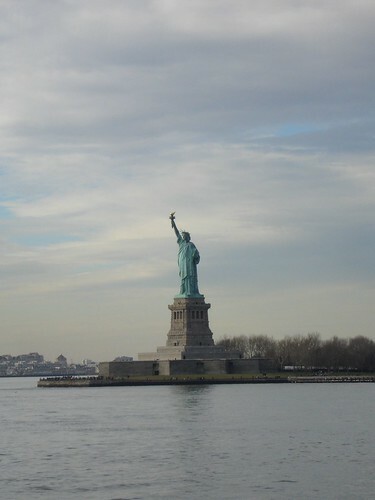 On this day in 1885, the Statue of Liberty arrived in New York Harbor. Formally known as "Liberty Enlightening the World," she was a gift from France, and was funded by the French people. Sculptor Frédéric Auguste Bartholdi first had the idea for a monument to commemorate the friendship between the United States and France in 1865, but he didn't begin actual construction until the early 1870s; he chose Bedloe's Island — now called Liberty Island — because the statue could welcome the boats full of immigrants, who would pass by the statue on the way to Ellis Island. He was delighted to learn that the island was the property of the United States government, which meant all the states — not just New York — could claim equal ownership in the statue. Lady Liberty is made of sheets of copper over a framework of steel supports; the framework was designed by Alexandre Gustave Eiffel, of Eiffel Tower fame. She was constructed in France and then was disassembled to make her journey to New York, where she was reassembled to her full height of 151 feet, 1 inch. Mounted on her pedestal, she stands 305 feet tall. 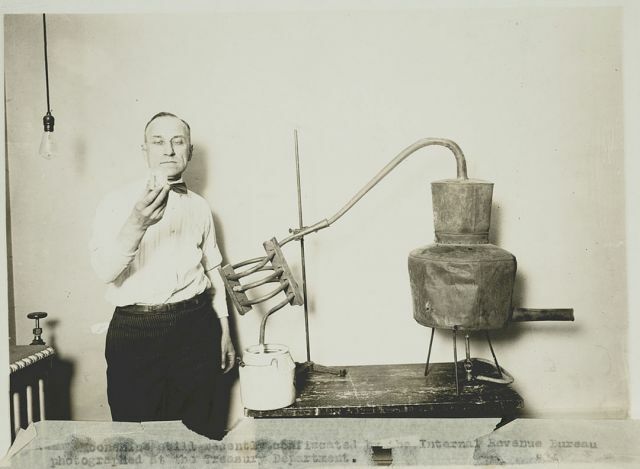 Her torch was wired for electrical power in 1916. The seven rays of her crown represent the seven seas and the seven continents; the broken shackles at her feet evoke freedom from slavery and oppression; and the tablet in her left hand represents the law. Bartholdi completed her right arm and torch, as well as her head, before the rest of the statue was designed, and the arm went on display in 1876 as part of the United States Centennial celebrations. Liberty's face was modeled after Bartholdi's mother. Preheat the oven to 375˚F. Spray a baking sheet with nonstick spray. Saute the asparagus in a dash of olive oil and add salt and pepper to taste. Cook the pork about 2-3 min. on each side. Meanwhile, separate the crescent roll dough into 8 triangles and lay flat on the baking sheet. Spread a thin layer of the mustard on each triangle. Wrap two or three spears together in one piece of pork, then place at the wide end of a dough triangle and roll up the dough. Repeat with remaining ingredients. Bake for 10-12 minutes, until slightly golden brown. Serve warm. A set of gold clubs under the hallstand. A fair-haired daughter learning to walk. In a medium bowl, mix coffee grounds and salts. In another, mix avocado and yogurt. Combine the contents of both bowls, stirring thoroughly. Mix in just enough oil to make a smooth — not runny — paste. Now step into the shower, get wet, and turn off the water. Here comes the fun part: “Using the entire palm of each hand, vigorously scrub your body from feet to neck for several minutes,” Henriksen says. When you’re done, just rinse and glow. Bonus: “You’ll feel an immediate lifting and constricting of the skin from the coffee — and incredible smoothness too. Something about 100 degree temperatures makes you want to eat differently. For me, it brings back childhood boat days of small, light snacks all day (rather than one big meal). Last night, we threw together an admittedly strange combo that just worked somehow. We hadn't broke out the fondue pot in a while, so we decided on cheese fondue as the main course, with steamed artichokes on the side. The last time I made fondue I used a recipe that had a strong wine taste and neither of us liked it much, so I tried this recipe (which has no wine at all). It was definitely more to our taste, and it's very basic, so now that we know we like it we can start adding our own touches. We have grilled and stuffed artichokes and not found any keeper recipes in any of them. So we decided to go back to the basics and just steam the artichokes. (Thanks to the Aiming Low blog for some basic guidelines.) I served it with just a basic butter dipping sauce (1 stick butter melted, 2 tbsp lemon juice, & 1/2 tsp minced garlic). Some times, when you try all new things for dinner (OK, most of the time), at least one thing is not going to turn out well, but this was just one of those perfectly summer dinners that all came together perfectly! It would also be useful as a local foodie guide. Take pictures and post them. And make the board open so others could post them too! My only complaint is that sporadically the app just shuts down. It seems to happen more often if you're taking pictures within the app (rather than using the iphone camera and finding the pic in the library). It's all Rebecca's fault. She sent me the Pinterest invite...probably just knowing that I wouldn't come up for air for weeks! For a girl in love with everything and nothing, it's like a kind of 2.0 (second) home for me! It's basically visual bookmarking, but it feels like a community of folks who all love fashion and food and funky and fun. And since I'm spending so much time there (instead of here), I guess I'll just have to show you here what I'm doing there from time to time. 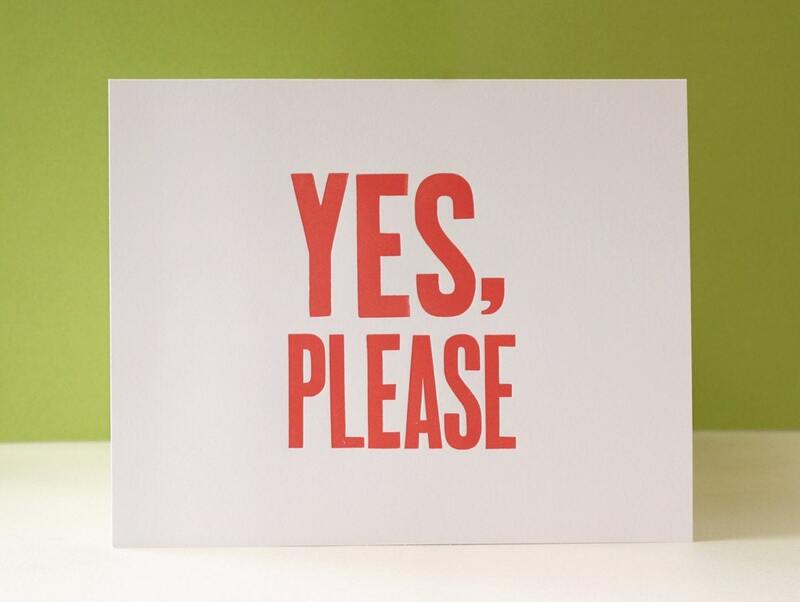 So hat's off to Pinterest for collecting so many fabulous ideas in one place. And hats off to Rebecca Benson for sending me the invite (even if it has led to too many nights of saying, "How could it possibly be midnight already?! ").